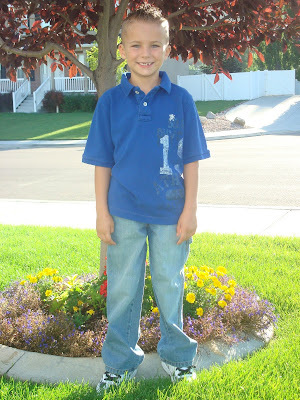 Summer Ended Today.....The kids are back to school Karson started 1st grade this morning. I couldn't be more sad and happy all at the same time. This means Karson goes to school all day long 8:30-2:45. I'm not really ready to let him go yet. This is hard for me. I guess it just means my little guy is growing up! It's just happening to quickly. Karson's such a stud and has taught Jason and I so much that we are also way excited to see what else we can learn from him. 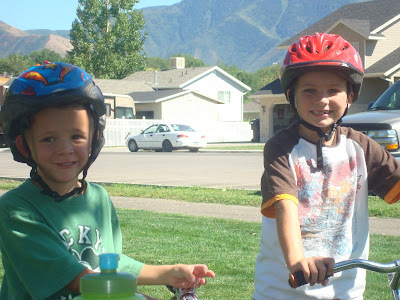 Karson sits next to one of his best friends. 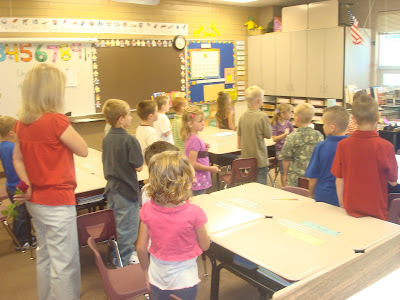 (The teacher already had it this way) I'm pretty sure she'll be changing that seating arrangement real soon! 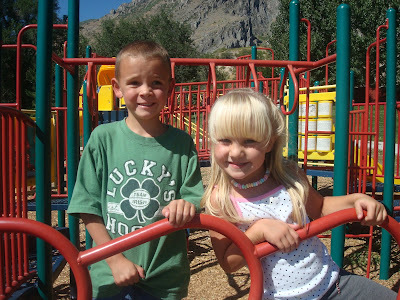 Taylor is in the same class with My Brother Bri's son BO! Taylor is so glad to already have a friend that she knows and loves. 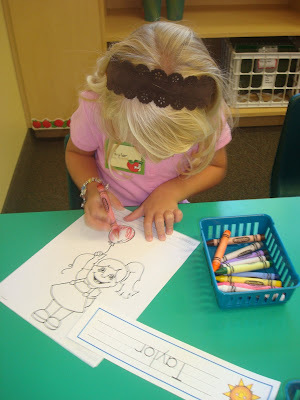 Taylor sits right down to start her work. Taylor had just gotten bathed and ready for bed. The kids both have a big tomorrow. 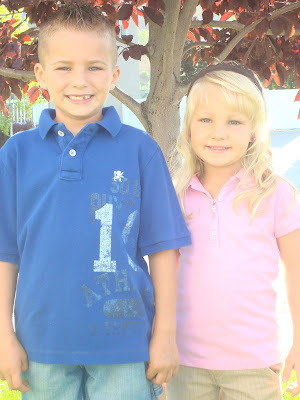 Karson starts 1st grade and Taylor goes to preschool 3 days a week. But instead of getting right in bed Taylor had another idea...She decided to model her PJ's and asked me to take a picture of her. She's such a cutie. She did several different poses but this is the one she liked best. 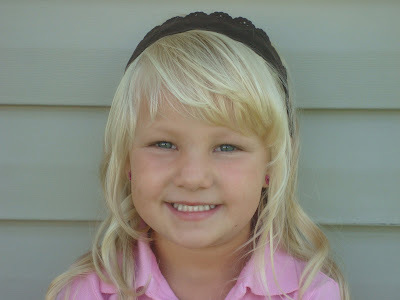 Taylor Ann...I just love you! 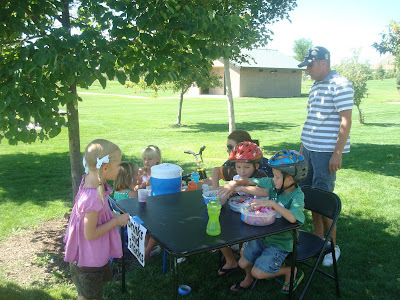 Karson, Taylor and their cousin's Cooper and Hailee had a drinks and snacks stand at the park. It was a real slow start as we were the ONLY people at the park. But slowly kids came to the stand. 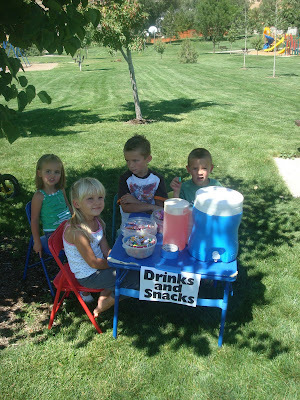 Uncle Mike also came by for a nice cold cup of Kool-aid. Thanks for the support Mike! The kids were had a great time. 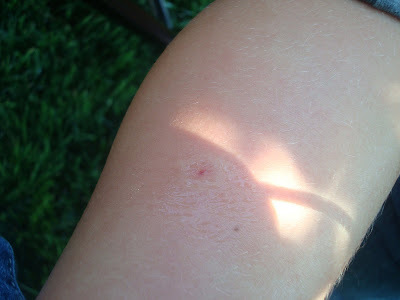 Poor Taylor was playing on the play ground and got stung by a stupid wasp! I hate those things my poor kids seem to always be the ones that get stung! Karson started Karate today. He takes it from our neighbor across the street who has a karate studio in her basement. 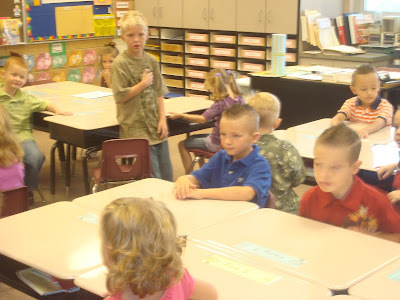 He was a little bit nervous to start the classes. I asked him why he was nervous and he said "Well I want to do Karate but I don't want Sis. Fisher to Karate chop me" Isn't that the cutest!! !